I am always interested to improve my typing performance and eager to use keyboard shortcuts. As Code Cop I mentor developers and pair with them in different environments. I need to improve my typing and shortcut-fu across different tools and use flashcards to memorise IDE shortcuts. 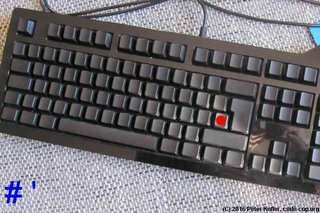 I found that I need more visual hints to remember the positions of certain keys. I am able to touch type but I do not know the exact position of the keys consciously. This is sometimes a problem when typing passwords. Iris Classon reported that using a blank keyboard improved her touch typing accuracy. She listed measurements and statistics on her web site regarding her improvements. 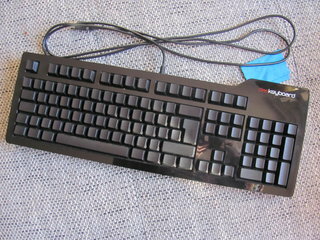 I own a Das Keyboard Ultimate and have used it from time to time. It is true that using it improved my touch typing accuracy, but it did not help me to "know" where the keys were. download Anki flashcards for 88 keys UK keyboard layout, which is very similar to US layout. Flashcards for 29 letter keys, German keyboard layout. Flashcards for 59 non-letter keys, German keyboard layout. Flashcards for 62 non-letter keys, UK keyboard layout.